In response to the video "Consistency – Six Criteria To Judge How Cohesive Your Work Is"
Consistency should not be an artist's concern. The problem is that people like you (art world businesses people) cannot explain and rationalise art and artists' development, whilst still selling fast and easily to your clients. Art is a non-rational process and should not be put in a box and labelled "product for sale - for instruction please see attached leaflet"; this is FAST-ART for Art Fairs and Fast-Art collectors. 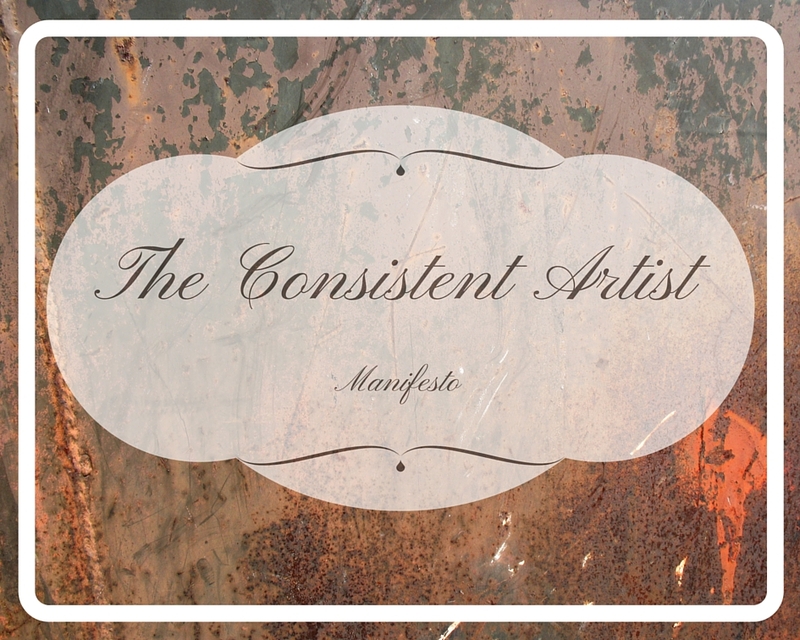 Consistency is for craft and design production. Thanks to people like you, art is under constant threat of losing its magic and power of opening people's mind and changing ways of thinking, helping our society to progress. WE (Us Artists) are capable of showing a different angle to beauty, culture, war, art, death, branding, sexuality, politics and all those many subjects matters that WE are able to convey in our works. 1 - The one of being an artist, is not a career that one chooses; we are born artists, we take risks while following our instinct; this can hardly ever follow for an entire career one theme thread or be a consistent process because experimentation and rule breaking is our everyday call. Artists are innovators who cannot follow simplistic rules because we think differently and dare to do so. 2 - The Subject Matter chooses us (not the other way around), we select and always push ourselves to learn and master the most appropriate palette of colours, medium, presentation and style (as you say) for each subject matter in order to communicate our thinking and feelings to the rest of the world in the best way we can achieve. 3 - Following our instinct and BEING Artists is the only coherence you will ever find in ALL true Artists. 4 - We do art because we must, not to make a consistent product for you to sell.